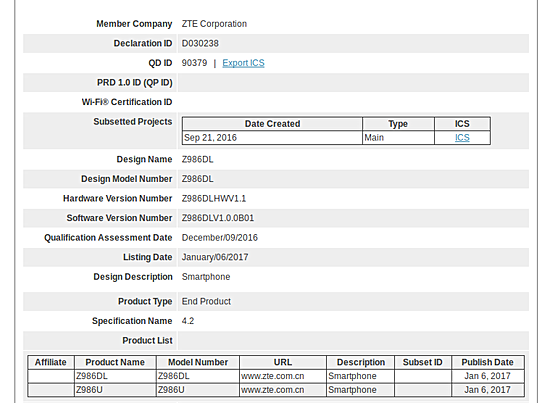 Two new ZTE smartphones have been certified by the Bluetooth Special Interest Group (SIG). The listing reveals that the devices carry a model number of Z986DL and Z986U, respectively. Sadly, the listing doesn't reveal anything else about these handsets. But given that they have started collecting the necessary certifications, we expect to hear more on them in days or probably weeks to come.